Looking For Your Next Rehab Project? Find It Here! Get Insider Access To The Best Rehab Deals In Your Area Before They Ever Go On The Market. 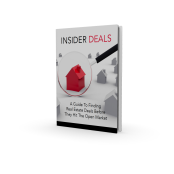 Instant access to "Insider Deals - A Guide to Finding Real Estate Deals Before They Hit the Open Market"
© JERODZ REI, LLC All Rights Reserved.